An unforgettable impact! 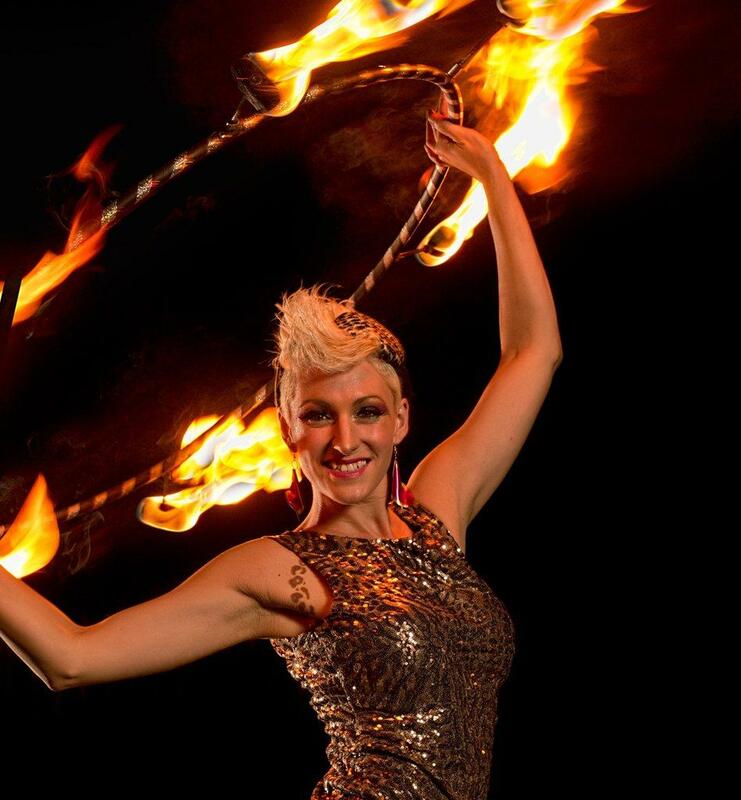 Professionally trained dancer, Loz Because has wowed and amazed audiences across the globe with her huge range of fire skills. 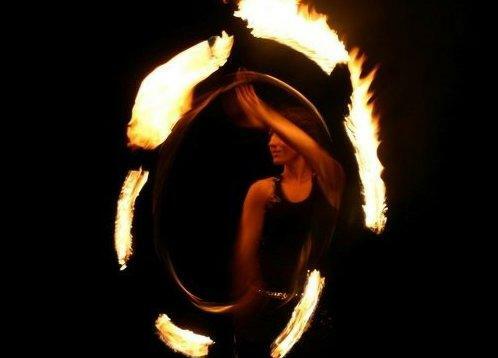 From the intimate art of fire eating and body burning, to the powerful effects of flaming ropes and Because ’s specialty: fire hula hoops! Loz Because performs with fire at corporate events, private parties, and festivals. A captivating spectacular fire show! Loz combines her fun and easy banter with simply astonishing fire skills to present a high-impact display that keeps the audience engaged throughout. Looking for a big finish to your event? Check out Loz’s astonishing finale! A 5x5ft flaming heart, which is balanced on a pole on Loz’s chin! Loz Because can add two flaming initials into the centre of the fire heart – perfect for weddings or valentines events. 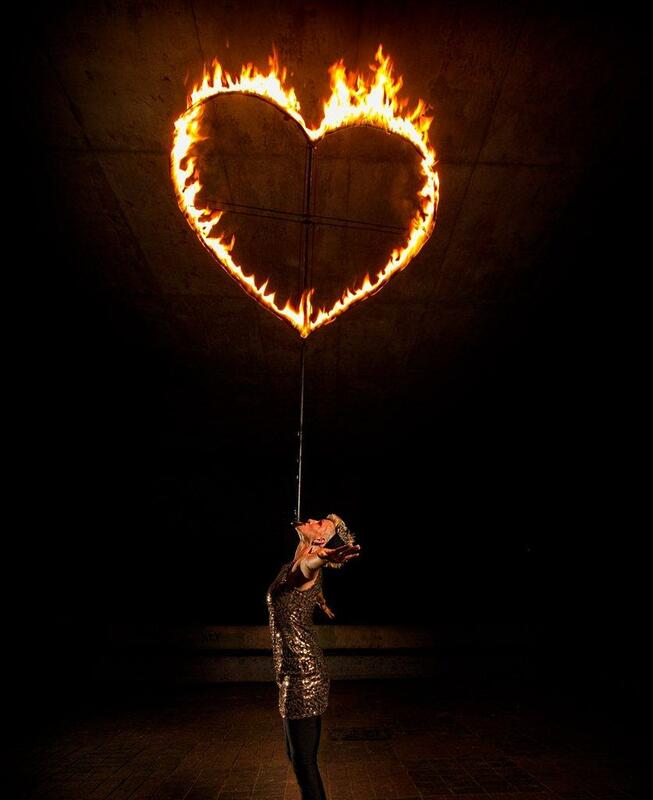 Loz can also rig stage pyrotechnics to fire fountains of sparks from the flaming heart sculpture – not to be missed! Interested in a group show? Just ask! 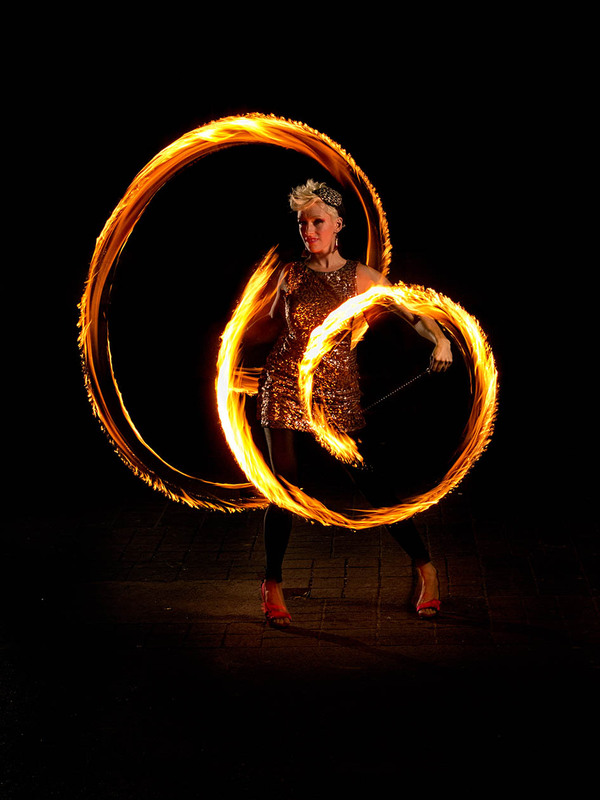 Loz works with a award-winning international fire performance troupes. 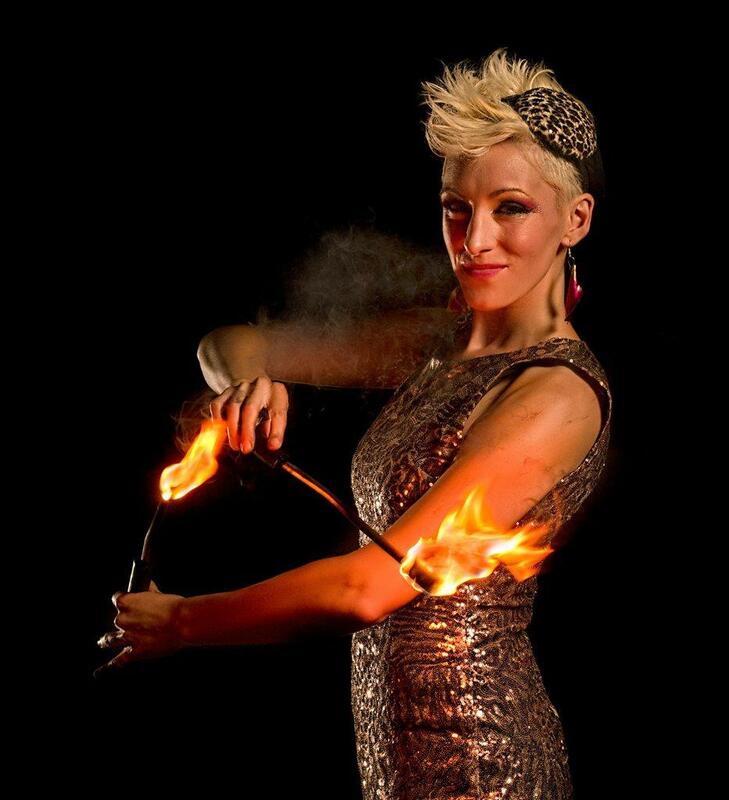 Loz Because is a world-class freestyle fire hula hooper and fire performer, she performs and teaches at masterclass level international conventions and workshops. Her style is fun, engaging and inventive – always a talking point for any event or party.